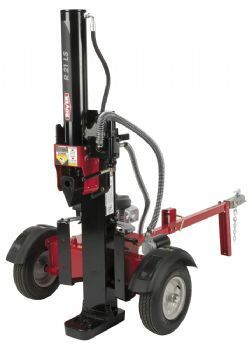 This Rover 21 ton log splitter is perfect for the home owner who wants to split their wood without an axe. This 21 ton comes with a 160cc GVC Honda Engine with premium 4-Stroke technology! Honda engines scream reliability and produce and efficient performance for the tougher jobs. It will still do your harder woods such as yellow box and red gum although when the grain gets very erratic you are better off stepping up to a 33 ton which will do it with ease. It has a 64cm (24") length log capacity with a 19 second ram cycle and can be used horizontally or vertically.